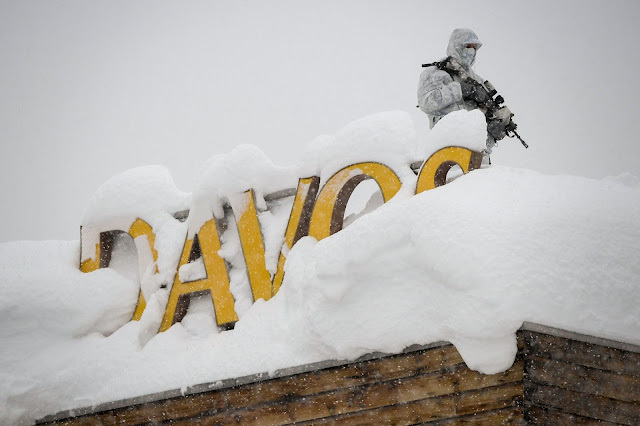 Snow, snow and more snow is settling in as the World Economic Forum is about to get underway on Tuesday. Fat, damp snowflakes have been tumbling down for the past six days, burying the town in six feet of snow, three feet of it in the last two days alone. 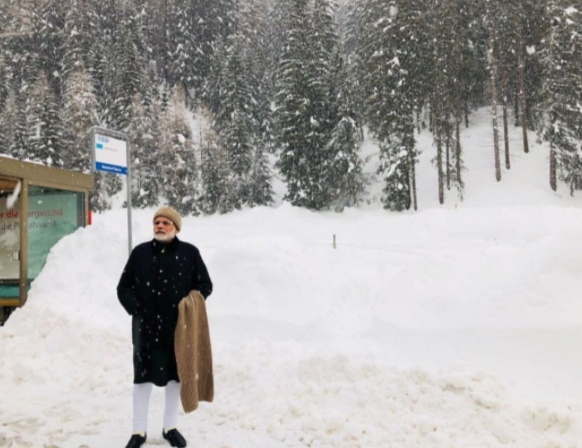 Snow was still falling fast on Monday night, and the steep, pine-dotted slopes were so heavily laden that some neighborhoods here in Davos had to be evacuated for fear of avalanches. Head-high snow drifts quickly piled up along the roads, leaving no place for street plows to push more snow. Sidewalks completely disappeared. “I’ve been coming for eight years and this is the worst I’ve seen it,” [Linda P. Fried, the dean of Columbia University’s Mailman School of Public Health] said. But she bristled when asked whether some — like perhaps President Trump — might question the incongruity of discussing global warming during a blizzard.